In an effort to be pro-active in our neighbourhoods we aim to protect, control and prevent invading Fire Ants in the stormwater pond adjacent to Bartholomew Drive and Rushbrook Drive. The Town has been monitoring this issue closely and has developed an action plan for treatment. We have been working in consultation with experts in the industry in an effort to ensure we continue to make our community an enjoyable place to live. 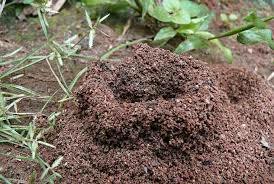 An area within the stormwater management pond, adjacent to your property, was treated on Thursday, June 21 and will be treated again to control fire ants on Thursday, July 26, 2018, weather permitting. IMPORTANT: We would like to offer treatment on the inside perimeter of your backyard, on Thursday, July 26, 2018, along with any mounds/colonies that may be affecting you. The costs would be covered by the Town of Newmarket. Part of the treatment preparation is to cut the grass directly behind the houses on Bartholomew Drive and Rushbrook Drive, which will be happening every two weeks this season. IMPORTANT: We will be treating all of the properties on Bartholomew Drive and Rushbrook Drive. that back onto the stormwater management pond. If you do not want your property treated, please contact Ruurd van de Ven at 905-895-5193EX 2573 rvandeven@newmarket.ca providing name, address, contact number and a message declining treatment. Environmental Pest Control is a reputable pest control service provider that services thousands of residential customers annually has been in business for more than 29 years and is located in Newmarket. The treatment is considered safe and does not pose any health risks to residents or their pets when applied appropriately. The entire process will require ongoing inspections and treatments, if needed, for the remainder of the year and for the next few years. 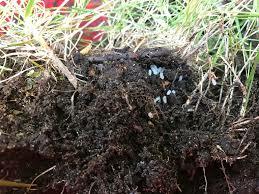 These efforts will reduce the impact of the pests and allow you to better enjoy your property. We will be applying three other treatments to the ravine area and residents a tentative schedule is June, July and August. We have been in contact with a leading fire ant researcher who has suggested some alternative methods for us to try and manage the ant population. These alternative methods are in addition to the treatments we are already providing. IMPORTANT: We encourage residents to inform us if they are experiencing any issues related to fire ants, and we will work closely with homeowners on a case-by-case basis. Our hope is to continue to identify ways in which we can collaboratively manage this situation while protecting the natural environment. Any additional efforts you may wish to pursue on your property by an industry professional will further aid in managing fire ants. IT'S NEW - hey NEWMARKET!